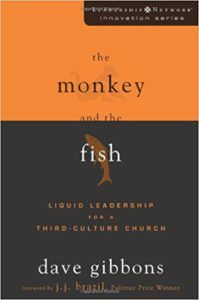 Gibbons uses the term ‘Third Culture’ to introduce a new way of doing church. It relates not to a building or to a theology, but rather to relationships. He uses the parable of the Good Samaritan to show that Christians are called to love those who are not like us, whose experiences differ greatly from our own and it is an ‘outward’ service in the real and sometimes painful world rather than an ‘inwards’ and safe inviting of others to our church. Gibbons uses the term ‘liquid’ to describe how Christians need to adapt to others within our multi-cultural, globalised, societies. Whilst Paul became all things to all men in order to share the gospel, the Western church of the past has tended to bend converts towards Western cultural norms. This includes not only the music and dress, but even philosophical ideas (i.e. individualism rather than Ubuntu or linear thinking rather than circular thinking). Gibbons obviously has a passion for people and many years experience as a pastor of a number of churches. 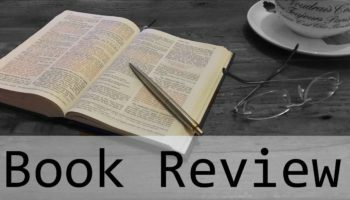 His style of writing is very down to earth and he uses lots of real life examples as well as biblical parables to make his point. There were a lot of innovative, dynamic and common sense ideas which essentially drive the reader towards a social gospel. The book is radical in the type of church that it promotes, and many of his ideas are very good and would work well within the South African context. However, Gibbons seems to be so busy looking forward that he forgets to look back. The problem with being ‘fluid’, with becoming all things to all men, as that we can lose sight of who we really are. Our faith must always be grounded upon strong biblical teaching and although we may attract converts through our love for them, we cannot lead them to Christ without teaching them who Christ is, why he came and what that means. The gospel is not just a gospel of love, it is a gospel of sacrifice, pain and suffering. I would recommend this book to anybody interested in social action, evangelism and outreach. As with anything you read, you should read with discernment, not taking everything as gospel!